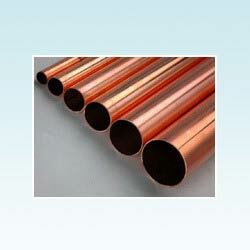 Our company is the right destination to buy the most durable Copper Pipes. The light weight, good electric conductivity, heat resistance as well as rust proof nature make the Copper Pipes suitable for applications that involve air-conditioning, heat exchanging, refrigeration and plumbing. Further, a wide range of Copper Pipes can be availed from us in different sizes and specifications at the most fair prices.